Chef Gerard retired in 1998, so my wife Andrée (Chouchou, to all that know her) and I took over the helm. 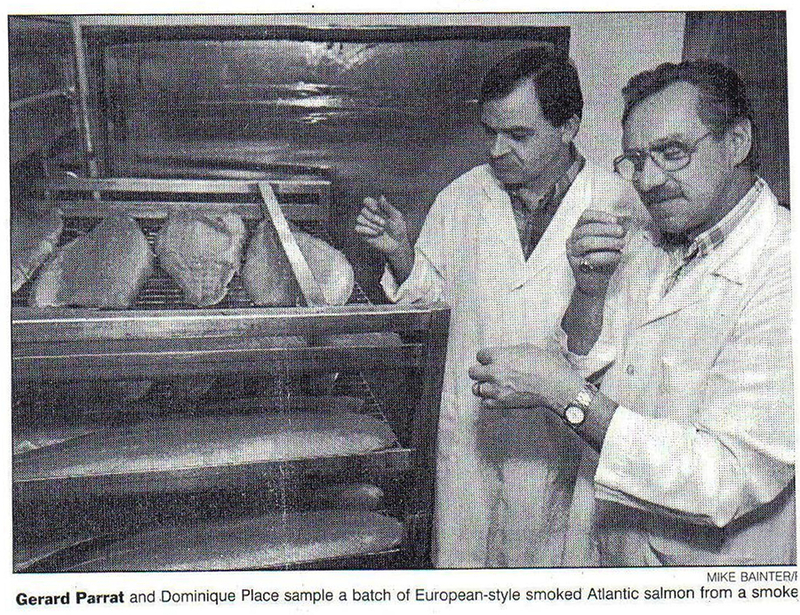 With Chouchou on the phones and myself in the back filleting and smoking the fish, we built our devoted customer base. After several wonderful years (albeit extremely long hours), we decided it would be nice to take a day off together. Our children had dreams of their own in other fields, and we realized we needed a new partner – a company that would be as passionate about the quality, and give the personalized, hands-on service that our customers were used to. 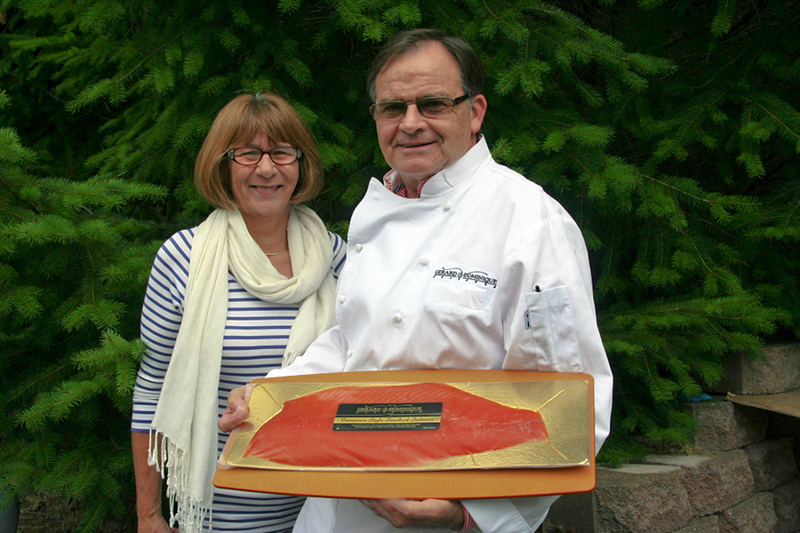 ​In 2008, we joined SeaBear Smokehouse, an artisan Northwest Style smoked salmon company out of Anacortes, Washington. We had complementary lines and some of the same customers; it just made sense! Then, in 2012 Chouchou took a new full time job as Mimi (Grandma), while I moved the G&D Smokers to Anacortes to consolidate our facilities. Fast forward a few more years and here we are today. I am in the part time role as the Chief Culinary Officer for SeaBear company, with just enough time to play the role of Papi (Grandpa). Don’t worry, I am still very set on ensuring that the quality and customer service remains at the highest of standards. On a final note, a genuine, “Thank you!” from Chouchou and I to all of our wonderful customers who have supported and encouraged us over the years. And to our future customers; we would be honored for you to serve Gerard & Dominique’s smoked seafoods to your patrons, friends, and family. It is the best we’ve ever had, and we LOVE having it for breakfasts and late night snacks. I am in Morton’s in San Jose. There are some people at my table from Iceland and Norway who are AMAZED at your salmon. Where is it from? How can we buy more? In my 16 years of being in the catering business, I've never come across a smoked salmon with such great flavor before. I believe it all begins with the quality of the salmon itself. Whatever it is you're doing there, keep it up and don't change a thing. 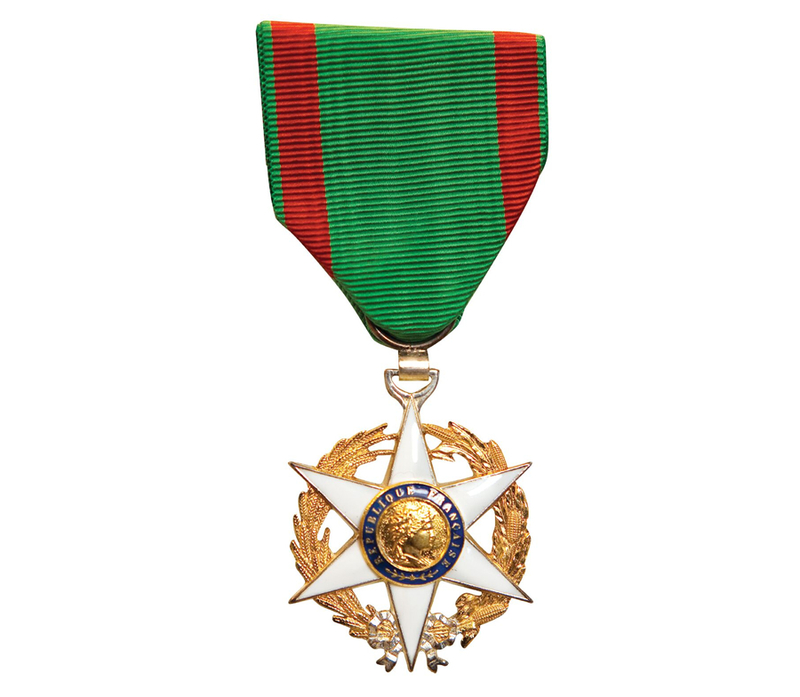 Dominique received the Merite Agricole from the French government – an honor created in 1883 to recognize those with exemplary contribution to the preservation and spreading of French culinary culture. 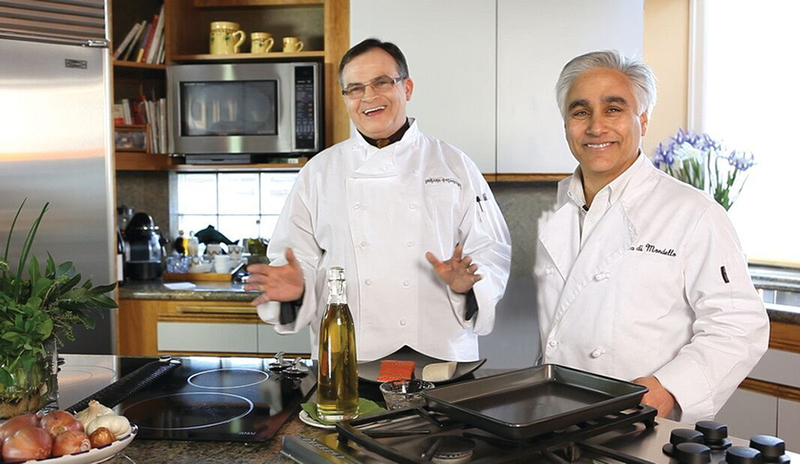 As recipient of this esteemed and historic award, Chef Dominique Place is officially recognized as a Knight in the Order of Agriculture Merit.